Those who travel from Athens to Kalamata cross the famous Corinthian Canal on a route that slices through Nemea, one of the Peloponnese peninsula’s, wine producing regions. We like to think of it as, ‘Krasi Country’. Yet, most – unless they have a tour guide pointing them out – will likely miss both. They are unremarkably shy when competing for attention with Greece’s ‘hyped-up’ tourist destinations like Santorini or Mykonos. It took several trips through the area, as we traveled between Athens and our home just south of Kalamata, for us to give the area more than a passing glance. As we zoomed along the divided freeway one or the other would comment, "Those look like grape vines don't they?" And I must confess that we still have yet to view the Corinthian Canal up close and personal. But all it took was one visit to Nemea, the Krasi Country that carpets the northeast corner of the Peloponesse, to keep us coming back to it. We are used to the ‘glitz’ of wine promotion in the U.S. where magnificent tasting rooms and wineries reign over vineyards and ‘tastings’ can cost $10 or more. It is not like that here. We’ve yet to visit a winery with a tasting room, let alone one that is open! The area has charmed us to the point of making an over-night stop there a ‘tradition’ when flying out of the Athens’ airport. That way we give ourselves a trip within a trip and it breaks up the near four-hour journey between our home and the airport quite nicely. Our visit last fall was on a dreary, rainy day when the area was shrouded with clouds and mist (yes, it can happen even in Greece) so the area’s sheer beauty wasn’t really revealed until we returned in June. The history of vine cultivation in the Peloponnese is fascinating. It dates back to antiquity and experienced one of its finest moments in the Middle Ages, when Monemvasia put the region on the map with its trade in Malvasia (or Malmsey) wine. Its modern wine history can be traced to 1861 with the establishment of Achaia Clauss by Bavarian trailblazer Gustav Clauss. He developed the sweet Mavrodaphne (also Mavrodafni), now known around the world. We created our own wine tasting on a warm June afternoon at a small kafenion we happened upon along our route. While the young Greek woman running the place spoke about as much English as we did Greek, we managed to order ‘ena portiria krasi leftko; and ‘ena portiria krasi rose’ (glasses of white and rose wine). Those phrases are among our 'survival' phrases we learned early on! And as is still the delightful tradition in Greece, the wine came with a plate of food, at no extra charge. Later that evening in the village in which we were staying, we’d decided to enjoy the warm evening a bit longer with a stop at the town’s kafenion for a nightcap. As we were sipping our ‘miso kilo of rose’ (as the half-liter pitcher is called here), a Greek man pulled up in his pickup, nodded and spoke in greeting as he walked past and went inside. Minutes later a second pitcher of wine was served to us, sent by Mr. Nikos, the man who had just walked past. Turns out he is the winemaker of the rose wine served at the kafenion and he was so pleased we were drinking it, that he sent us more. So pleased in fact that he went to his truck and brought back a bottle of red wine for us to sample. (We were unable to consume it all, btw). And then he sat and in our broken English/Greek we discussed wine with him as dusk became dark. Eat your heart out, those of you who pay hundreds of dollars for a chance to eat or drink with the winemakers! We had a most memorable tasting with the winemaker himself and for less than 5 euros! One of the reasons we return to this wine region is to visit Kefalari, a tiny mountain village that sits at an elevation of 2,650, high above the region's vineyards. We’ve stayed at the town’s Guesthouse Arhontiko, and its sister property, the Armonia Boutique Hotel. Both offer exquisitely furnished rooms and breakfast is included in the rate. The mid-September rate respectively is about $42US and $71 US a night. They are tucked away in the heart of the village, footsteps from each other. We’ll be heading back to our ‘Krasi Country’ as soon as we get settled into the new lifestyle in Greece. And our travel tip is: If your travels take you to Greece, you’ll want to visit all those well-known oft-written about tourist destinations, but remember there are travel treasures out there to be found just a bit off the beaten path. Kalo Mina, (Happy New Month) and Happy September to you and yours. We have arrived at our ‘countdown to Greece’. Suitcases are packed and being repacked. The ‘for sale’ sign goes up this week on our U.S. home. A new adventure is about to begin. . .
As always, thanks for the time you spend with us. . .safe travels to you and yours~ hope to see you back here next week! Wine tastings as well as olive oil samplings are a Very common practice all over Greece.And -by the way- Nemea region (as in Nemean Lion of Hercules) is located in the Northeast of the Pelloponesian peninsula, Not in the northwest*. Yes, they are - we've drank some wonderful wines all over Greece in recent years of travel there from Crete to Rhodes, mainland and various islands. Yet, the tasting rooms are often not as elaborate as we are used to in the U.S. which makes them even more charming from our standpoint. And if you saw some of the FB comments, we aren't the only ones who've found few such places to taste in the Peloponnese wine region. Thanks for the catch on east and west - I am obviously spending too much time packing to move there and not enough time editing!! Yamas! Krasi Country sounds delightful. I love travel treasures just off the beaten path. It is a wonderful place. . .but then many places are in Greece to our way of thinking! Thanks for the visit, Donna! I adore visiting small wineries. I recall that we visited one such winery in Santorini where we sat and drank with the owner. It was quite memorable! Those are among the best travel experiences one can have, aren't they Doreen? Thanks much for the visit! We love to go to places off the beaten path. The wine route in the Peloponnese 'Krasi' Country looks like a beautiful place. We are saving to travel to Greece with a camper van. Many European visitors do travel our area with their camper vans in the summer. I sometimes wonder how they manage our teeny-tiny roads, but they always seem to make it work! You'll have a great time when you do! o, i have always loved "the back roads" ...treasures to be found for sure. Thanks for the good wishes, BJ, on our house sale! And no, we are 'kidless' which makes it easy to be a vagabond of sorts! Wow! that is great experience of wine tasting. We were lucky to pick the Peloponnese as it continues to be one of Greece's less-traveled areas - that will change, which will be good but still like the in-tourist feel of the place! When next you visit krasi country, visit the George Skouras winery, on the road between Nemea and Argos (to the left of the highway as you head for Tripolis/Kalamata). He has a magnificent tasting room (no charge) and wonderful, prize-winning wines. Other wineries such as Ktima Gaia and Semeli offer tasting in high-tech wineries. There are several wineries in Ancient Nemea (opposite the archaeological site and museum) such as Papaioannou and Pavlides where you can taste also. Another must-visit is the castle-like Achaiia Claus winery outside Patras, where they make the famous port-like Mavrodafni, and offer a superb tour and tasting. And congratulations to you on your 250th! A super feat!! There's nothing quite like making the turn down an unknown road and the feeling of 'discovering' a place that's off-the-beaten-path. The places that draw the multitude of tourists doubtless have a reason but how much more memorable to sit in a small village kafenion and sip wine with the winemaker himself! I should have noted that we manage to get 'turned around' each time we go there and never end up quite where we thought we were going. The good part of that is that we always find something new and wonderful! Love following your adventures as you discover more about Greece. Creating your own wine tasting? Sounds right up our alley. Glad you are enjoying our Greek adventures. . .if you get over our way, we'll take you on a tasting tour - our style! The charm just about oozes off the "page". Great "you are there" writing. I was almost tipsy by the time I finished reading this. A half a litre of wine goes a long way on an empty stomach---or so we have learned. We always end up with more than we envisioned when eating and drinking in metric. Well the nice thing about wine served in the pitcher is that the alcohol content is significantly less than that from a bottle there or in the US, so you can drink more without sliding under the table. That said, the amount of wine on the table with Mr. Nikos would have put both of us under the table -- had we not been flying to Geneva the next day -- we just might have had a bit more of it though! I love the randomness of how you met that winemaker in Krasi! And I love that you've made it a standard stop on your way to the airport: what a civilized way to travel! There are several wonderful areas we could stop to break up the trip to the airport (although it isn't that tough to drive straight through). It is fun though to stop and remind ourselves of all the charms we have so close by! Since I've never been to Greece, I'd for sure want to visit all of the famous places. But in my dreams, I'm somewhere off the beaten path in an area like Peloponnese 'Krasi' Country. 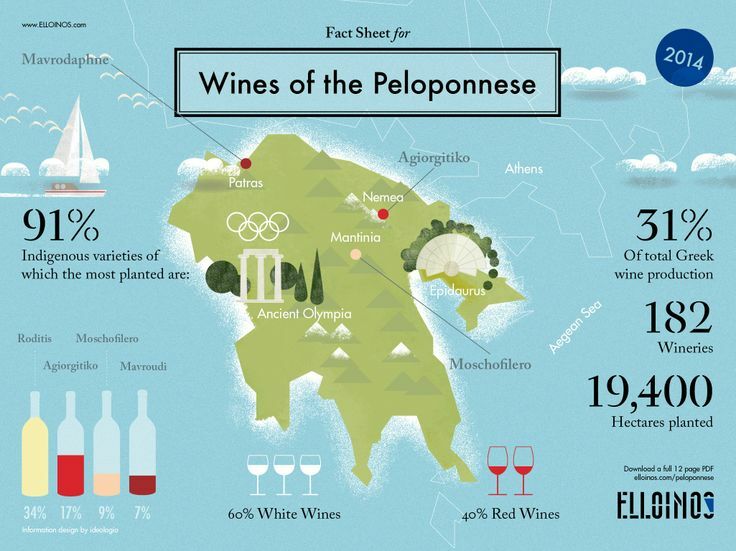 Well if you ever get there, we will be your Peloponnese wine country tour guides!! I really like that story about Mr. Nikos. I can see why you find Greece so appealing. What an exciting time. I hope your home sells soon and for the amount you ask. I know you will be enjoying your extended time in Greece and look forward to hearing about it. Most wine tours that are located within Usa regions are very well organized and so are ready to accept the general public the majority of the year long. You'll find usually regular wine tours taking place of assorted lengths and with various start times.